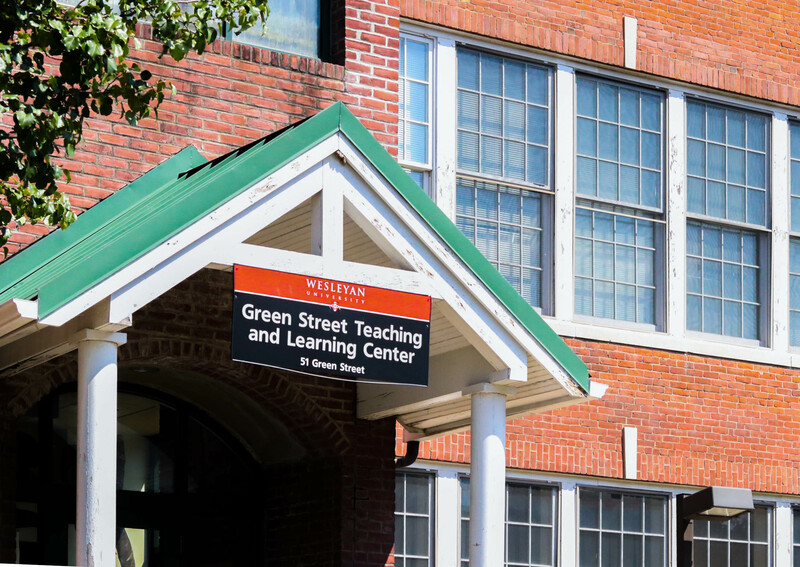 When Wesleyan announced the closure of the University-funded Green Street Teaching and Learning Center in June 2017, volunteers and Middletown residents expressed outrage and concern at the decision, which many saw as abrupt. The University had invested $2.6 million in renovating the old school building in Middletown’s North End which housed Green Street, and the center had an annual budget of about $500,000 with a significant portion of the budget coming from grants, donations, and tuition. Roth cited the financial upkeep of the center as the main reason for the closure, writing that the University had contributed over $4 million to the programming. In light of the closure, the University committed to redistributing an amount of what would have been in the center’s budget to other relevant projects around campus. In an effort to provide similar programming to North End residents, student coordinators Jenny Chelmow ’19, Mariel Middlebrook ’20, Katie Murray ’19, and George Perez ’20 are working to launch Cardinal Kids, an after-school center on campus with programming for first through fifth grade students. The coordinators are hoping to keep the costs of Cardinal Kids low by employing University students as opposed to full-time staff, and running the program on campus to cut the costs of building maintenance. Although the coordinators had planned to get the program up and running in the fall after securing a $5,000 grant through the Patricelli Center for Social Entrepreneurship last spring, the coordinators said the creation of the program has hit obstacles as they are working on the logistics of what the new system will look like with the Office of Community Service. These logistics, Martinez said, include finding a space for the program and ensuring a consistency of volunteers throughout the school year, as well as the issues of liability in bringing children onto campus. She added that while the project has not found a staff member to head the program from semester to semester, she would feel safer as a parent and a staff member if there was a point person working with the program. Middlebrook said that while the OCS has been supportive of the coordinators during the process, she believes that navigating the administrative structures to work on the logistics is on a different schedule than the student volunteers. The kids who participated in Green Street programming, she added, are aging, and as the students volunteers and coordinators of Green Street are moving through their time at the University, they are hoping to implement the program as soon as possible. Perez said that despite the University’s proposal that closing Green Street would loosen the competition between after-school programming in Middletown, other after-school centers have been open to collaboration. As a first step in Cardinal Kids programming, the coordinators are working with Oddfellows Playhouse in Middletown to bring back musical mentoring, a service offered by Green Street in which children could have private music lessons with Wesleyan students. The coordinators have also reached out to MacDonough Elementary School and the University student-run Traverse Square after-school program for possible collaborations. “We’re not really seeing the hyper-competitive youth-programming atmosphere that the University has described and told us exists,” Perez said. According to Martinez, a portion of the money that would have gone to Green Street’s budget has been redistributed to create a new position in the OCS, as well as a small portion for the office’s operational budget. As for the remainder of the funds, the coordinators said they have not seen other groups on campus receiving bonuses. Sara McCrea can be reached at smccrea@wesleyan.edu or on Twitter @sara_mccrea.